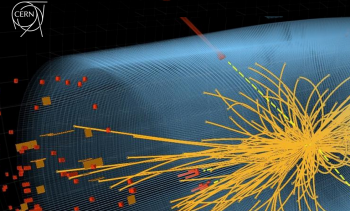 This 1.5-day training course took place at CERN 24-25 October 2013. The course focused mainly on the Nucleonica core applications and tools. A detailed description of nuclear data with particular reference to the various Nucleonica nuclear databases was given by Dr. Zsolt Soti from the JRC’s Institute for Transuranium Elements. Core applications were demonstrated through the use of Nucleonica tools such as the Decay Engine++, and Dosimetry and Shielding++, and Nuclide Mixtures. A key lecture was given by Mr. Yann Donjoux (CERN) on the e-Ship++ radiological transport assistant application in Nucleonica which has been developed jointly by CERN and Nucleonica over the past two years. Speakers included Mr. Y. Donjoux (CERN), Dr. Z. Soti and Dr. J. Zsigrai from the JRC/ITU, in addition to Dr. J. Magill and Mr. R. Dreher from the Nucleonica team. In addition to the speakers, 17 participants from CERN took part in the course. A number of these participants made short presentations on their work at CERN – giving new ideas for future extensions and applications in Nucleonica! A number of contacts were established between the CERN radioprotection staff and the Nucleonica team on problems of joint interest. Following the course, Mr. Yann Donjoux arranged a visit to CERN’s LHCb experiment for the course speakers – a real highlight especially for the first time visitors to CERN. The traditional way of doing this was to download an already existing mixture to your PC and then send this mixture as an email attachment to your colleague. The colleague has then to store this mixture on his/her PC and then upload it to the Nuclide Mixtures. Tick the check boxes for the mixture(s) to be sent (assume mixture(s) has already been created). In the Send to my contacts, select the contact from the drop-down list (assume contact already exits in My Contacts). The colleague selected in the Send to my contacts will receive an Alert from which the nuclide mixture(s) can be transferred. This new feature allows users to transfer mixtures between each other without downloading, saving, uploading, etc. between the sender and the receiver. 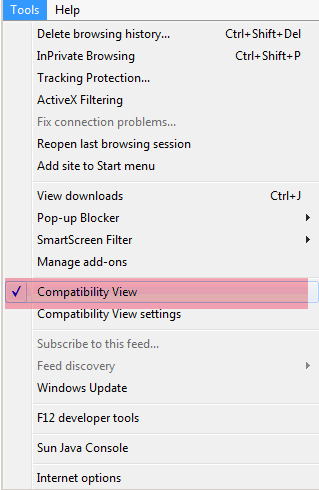 The Tools menu in Internet Explorer 10. Thanks to our colleague Yann Donjoux for informing us of this feature. Through an institutional license agreement, staff and students at Princeton University have now full Premium access to the Nucleonica applications and features. As a world-renowned research university, Princeton is the fourth-oldest college in the United States with more than 1,100 faculty members, 5,200 undergraduate students and 2,600 graduate students. The Nucleonica team looks forward to a close interaction with Princeton University and encourages a strong use of the web portal. 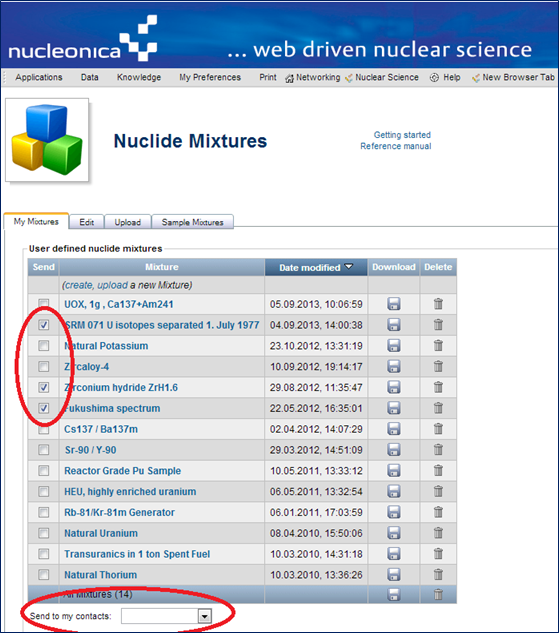 The Nuclide Mixture application in Nucleonica allows the user to create nuclide mixtures which can be used in many other Nucleonica applications (e.g. Mass Activity Converter, Decay Engine++, Dosimetry & Shielding++, Gamma Spectrum Generator, webKORIGEN, e-Ship++, etc.). To create a nuclide mixture, the nuclides are selected from drop-down menus and added to the newly defined mixture. 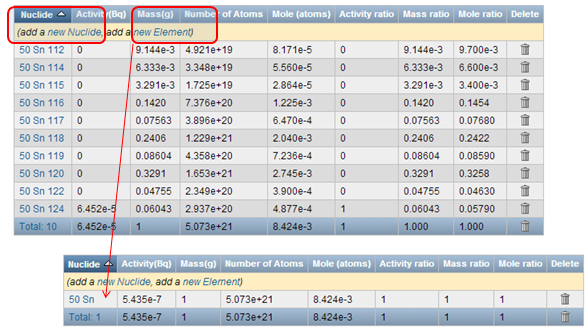 In this new update of the application, elements (with a range of stable isotopes) can now be added in a single operation. Previously, a mixture of natural uranium would require adding separately the three isotopes U-234, U.235, and U-238. This can can now be done with a single operation i.e. by adding the element U (with isotope concentrations given by the natural abundances). For the element tin with its 10 isotopes, for example, instead of 10 operations of adding each isotope separately, a single operation of adding the element is now sufficient. The newly created mixture can then be viewed in the nuclide or element modes to see the list of nuclides or elements respectively. This 2-day training course took place at the JRC’s Institute for Reference Materials and Measurements (IRMM) in Geel, Belgium during the 3-4 October 2013. The course focused mainly on the Nucleonica Basic, Core and Advanced Applications and tools. A detailed description of nuclear data with particular reference to the various Nucleonica nuclear databases was given. Core applications were demonstrated through the use of Nucleonica tools such as the Decay Engine, and Dosimetry and Shielding. Special emphasis was placed on the Virtual Cloud Chamber application for radiation protection studies and investigating the interaction of charged particles and photons with matter. A case study on Working with Reference Materials showed how the various Nucleonica modules could be combined to fully characterize reference nuclear materials. Key lectures were given by Dr. Jozsef Zsigrai (ITU) on webKORIGEN, the Gamma Spectrum Generator and Gamma libraries and Mr. Yann Donjoux (CERN) on the e-Ship++ radiological transport assistant applications in Nucleonica. In total 14 persons participated in the course. Speakers included Mr. Y. Donjoux (CERN), Dr. Z. Soti and Dr. J. Zsigrai from the JRC/ITU, in addition to Dr. J. Magill and Mr. R. Dreher from the Nucleonica team.